^ Lextrait, Vincent. The Programming Languages Beacon, v10.0. 2010-01 [2010-01-05]. ^ Android Code Analysis. [2012-06-01]. ^ Kotlin and Android. Android Developers （英语）. ^ Philosophy and Goals. Android Open Source Project. Google. [2012-04-21]. ^ Android P. Android Developers. Google. 2018-03-09 [2018-03-09]. ^ android/platform/system/core/toolbox/. （原始内容存档于February 9, 2014）. ^ dd command from NetBSD as an example. （原始内容存档于March 19, 2014）. ^ Licenses. Android Open Source Project. Open Handset Alliance. [2010-06-10]. ^ Google Buys Android for Its Mobile Arsenal. Businessweek.com. 2005-08-17 [2010-10-29]. ^ Google 收购 Android 十周年. romzj.com. [2015-07-14]. 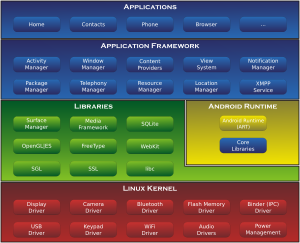 ^ Android Overview. Open andset Alliance. [2008-09-23]. ^ Open Handset Alliance. Open Handset Alliance. [2010-06-10]. ^ Jackson, Rob. 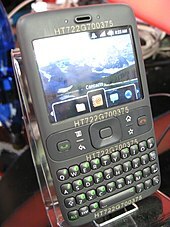 Sony Ericsson, HTC Androids Set For Summer 2009. Android Phone Fans. 2008-12-10 [2009-09-03]. ^ Industry Leaders Announce Open Platform for Mobile Devices (新闻稿). Open Handset Alliance. 2007-11-05 [2007-11-05]. ^ FAQ (新闻稿). Open Handset Alliance. [2010-11-15]. ^ Google's Android becomes the world's leading smart phone platform (Canalys research release: r2011013). Canalys. 2011-01-31 [2011-02-01]. ^ Markoff, John. I, Robot: The Man Behind the Google Phone. The New York Times. 2007-11-04 [2008-10-14]. ^ Kirsner, Scott. Introducing the Google Phone. The Boston Globe. 2007-09-02 [2008-10-24]. （原始内容存档于2010-01-04）. ^ T-Mobile Brings Unlimited Multiplayer Gaming to US Market with First Launch of Nokia N-Gage Game Deck (新闻稿). Nokia. 2003-09-23 [2009-04-05]. （原始内容存档于2009-07-10）. ^ Elgin, Ben. Google Buys Android for Its Mobile Arsenal. BusinessWeek. 2005-08-17 [2009-04-23]. ^ Brand Guidelines. Android. 2009-03-23 [2009-10-30]. ^ Woyke, Elizabeth. 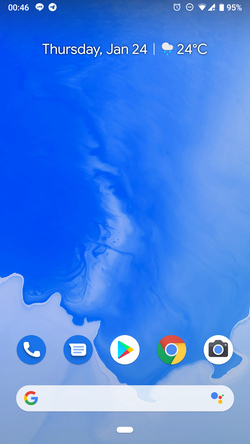 Android's Very Own Font. Forbes. 2008-09-26. （原始内容存档于2012-06-29）. ^ Android Brand Guidelines. Android. 2009-03-23 [2010-04-10]. ^ 44.0 44.1 谷歌十年前做安卓只是为了杀死微软Windows Mobile.腾讯网. ^ McKay, Martha. Can iPhone become your phone? ; Linksys introduces versatile line for cordless service. The Record (Bergen County). December 21, 2006: L9 [February 21, 2012]. （原始内容存档于February 5, 2013）. And don't hold your breath, but the same cell phone-obsessed tech watchers say it won't be long before Google jumps headfirst into the phone biz. Phone, anyone? ^ Block, Ryan. Google is working on a mobile OS, and it's due out shortly. Engadget. 2007-08-28 [2007-11-06]. ^ Sharma, Amol; Delaney, Kevin J. Google Pushes Tailored Phones To Win Lucrative Ad Market. The Wall Street Journal. 2007-08-02 [2007-11-06]. ^ Google admits to mobile phone plan. directtraffic.org. Google News. 2007-03-20 [2007-11-06]. （原始内容存档于2007-10-12）. ^ Claburn, Thomas. Google's Secret Patent Portfolio Predicts gPhone. InformationWeek. September 19, 2007 [March 12, 2017]. （原始内容存档于March 17, 2008）. ^ Martinez, Jennifer. Corrected: Update 2: More mobile phone makers back Google's Android. Reuters (Thomson Reuters). 2008-12-10 [2008-12-13]. ^ Kharif, Olga. Google's Android Gains More Powerful Followers. BusinessWeek. McGraw-Hill. 2008-12-09 [2008-12-13]. ^ About the Android Open Source Project. [2010-11-15]. ^ Touch Devices. Android Open Source Project. Google. [March 12, 2017]. （原始内容存档于January 25, 2012）. ^ Notifications. Android Developers. Google. [March 12, 2017]. （原始内容存档于December 8, 2012）. ^ Victor Matos. Lesson 3: Android Application's Life Cycle (PDF). grail.cba.csuohio.edu. Cleveland State University. September 9, 2013 [April 15, 2014]. （原始内容 (PDF)存档于February 22, 2014）. ^ NDK Revision History. Android Developers. Google. [July 17, 2018]. ^ ABI Management. Android Developers. Google. [July 17, 2018]. ^ Warman, Matt. Orange San Diego Intel Android mobile phone review. The Daily Telegraph. Telegraph Media Group Limited. June 7, 2012 [June 19, 2013]. ^ McCann, John. Android 4.1 Jelly Bean source code released. TechRadar. Future plc. July 10, 2012 [March 13, 2017]. （原始内容存档于July 13, 2012）. ^ 156.0 156.1 Building for devices. Android Open Source Project. Google. [March 13, 2017]. （原始内容存档于January 7, 2012）. 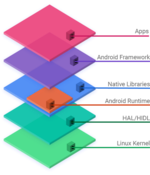 ^ Androidology – Part 1 of 3 – Architecture Overview (Video). YouTube. 2008-09-06 [2007-11-07]. ^ Modular Kernel Requirements. Android Open Source Project. Google. August 6, 2018 [August 7, 2018]. ^ Paul, Ryan. Dream(sheep++): A developer's introduction to Google Android. Ars Technica. 2009-02-23 [2009-03-07]. ^ 199.0 199.1 Kroah-Hartman, Greg. 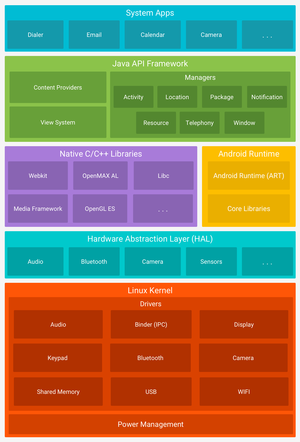 Android and the Linux kernel community. Linux kernel monkey log. December 9, 2010 [June 20, 2017]. ^ Rooney, Paula. DiBona: Google will hire two Android coders to work with kernel.org. ZDNet. CBS Interactive. April 15, 2010 [March 11, 2017]. （原始内容存档于June 17, 2010）. ^ Chris von Eitzen. Android drivers to be included in Linux 3.3 kernel. h-online.com. December 23, 2011 [February 15, 2012]. （原始内容存档于December 8, 2013）. ^ McPherson, Amanda. What a Year for Linux: Please Join us in Celebration. Linux Foundation. December 13, 2012 [April 16, 2014]. （原始内容存档于April 17, 2014）. ^ Simple DirectMedia Layer for Android. SDL. August 12, 2012. （原始内容存档于June 4, 2012）. ^ McFerran, Damien. Best custom ROMs for the Samsung Galaxy S2. CNET. CBS Interactive. April 17, 2012 [March 11, 2017]. （原始内容存档于April 19, 2012）. ^ Forian, Daniel. 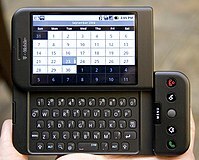 Sony Ericsson supports independent developers – Developer World. Developer.sonyericsson.com. [September 15, 2012]. （原始内容存档于February 12, 2012）. ^ Staff. Privacy Scandal: NSA Can Spy on Smart Phone Data. September 7, 2013 [September 7, 2013]. ^ Vault 7: Wikileaks reveals details of CIA's hacks of Android, iPhone Windows, Linux, MacOS, and even Samsung TVs. Computing. 7 March 2017. ^ Greenberg, Andy. How the CIA Can Hack Your Phone, PC, and TV (Says WikiLeaks). WIRED. 2017-03-07 （美国英语）. ^ First SMS Trojan detected for smartphones running Android. Kaspersky Lab. [2010-10-18]. ^ Aaron Gingrich. The Mother Of All Android Malware Has Arrived: Stolen Apps Released To The Market That Root Your Phone, Steal Your Data, And Open Backdoor. Android Police. 2011-03-01. ^ Perez, Sarah. Android Vulnerability So Dangerous, Owners Warned Not to Use Phone's Web Browser. Readwriteweb.com. 2009-02-12 [2011-08-08]. （原始内容存档于2011-08-10）. ^ Tech Crunch. 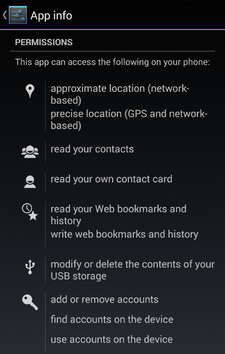 Google Responds To Android Malware, Will Fix Infected Devices And‘Remote Kill’Malicious Apps. TechCrunch. 2011-03-06. ^ 安卓再爆重大漏洞，華為小米一加無一倖免，手機或已被監視！ - Apple快報. Apple快報. 2018-11-26 [2018-11-27] （中文（台灣）‎）. ^ Android Security Overview. Android Open Source Project. [2011-10-23]. ^ SELinux Related Work - NSA/CSS. National Security Agency. [2014-03-19]. （原始内容存档于2014-03-07）. Security Enhancements for Android provides a reference implementation of how to enable and apply SELinux in Android. ^ Android 4.3 内隐藏了授权管理工具「App Ops」，保障授权项目一清二楚. Engadget 中文版. [2018-01-25] （中文（台灣）‎）. ^ 运行时权限 - Android 6.0 变更 - Android Developers. ^ Boulton, Clint. Google Open-Sources Android on Eve of G1 Launch. eWeek. 2008-10-21 [2009-09-03]. ^ Bort, Dave. Android is now available as open source. Android Open Source Project. 2008-10-21 [2009-09-03]. （原始内容存档于2009-02-28）. . Mirror link. ^ Licenses: Android Open Source. Android Open Source Project. [2011-10-25]. ^ Ryan Paul. Why Google chose the Apache Software License over GPLv2 for Android. Ars Technica. 2008 [2011-10-25]. ^ Android issues reviewed. Code.google.com. [2011-08-08]. ^ Boulton, Clint. Google Open-Sources Android on Eve of G1 Launch. eWeek. October 21, 2008 [February 17, 2012]. ^ Frequently Asked Questions: What is involved in releasing the source code for a new Android version?. Android Open Source Project. [February 16, 2012]. （原始内容存档于August 3, 2010）. ^ 311.0 311.1 Android Open Source Project Frequently Asked Questions: Compatibility. source.android.com. [March 13, 2011]. （原始内容存档于August 3, 2010）. ^ Tim Bray. What Android Is. ongoing by Tim Bray. 2010-11-24 [2011-10-27]. ^ Android Market reaches 500,000 app mark. www.t3.com. 2011-10-23 [2011-10-23]. ^ Christina Bonnington. Google’s 10 Billion Android App Downloads: By the Numbers. wired.com. 2011-12-08 [2011-12-12]. ^ 南方日报. 揭秘手机软件预装乱象 渠道商二次“刷机”毒害大. 人民网. ^ Technology | Q&A: Google's Android. BBC News. November 6, 2007 [November 9, 2012]. ^ Reisinger, Don. Driverless Cars and Green Tech: What Google Is Doing Outside of Search. eWeek. January 16, 2015. slide 2. ^ comScore Reports September 2010 U.S. Mobile Subscriber Market Share. Comscore.com. 2010-11-03 [2010-12-24]. ^ Kumparak, Greg. Android Now Seeing 550,000 Activations Per Day. Techcrunch. 2011-07-14. ^ Android takes almost 50% share of worldwide smart phone market. 2011-08-01 [2011-08-05]. ^ Erick Schonfeld. Larry Page: Mobile Revenues At $2.5 Billion Run-Rate, 190 Million Android Devices. TechCrunch. 2011-10-13 [2011-10-24]. ^ Lance Whitney. Google: 200 million Android devices now active worldwide. CNET News. 2011-11-17 [2011-11-27]. ^ Charlie Sorrel. Only 3.8 Million Honeycomb Tablets Sold So Far. Wired.com. 2011-11-17 [2011-11-27]. ^ Gartner Says Sales of Mobile Devices Grew 5.6 Percent in Third Quarter of 2011; Smartphone Sales Increased 42 Percent. 2011-11-15 [2011-11-16]. ^ 375.0 375.1 Gartner Says Worldwide Tablet Sales Grew 68 Percent in 2013, With Android Capturing 62 Percent of the Market. Gartner. 2014-03-03 [2014-03-04]. ^ Android Marks Fourth Anniversary Since Launch with 75.0% Market Share in Third Quarter, According to IDC – prUS23771812. Idc.com. [November 3, 2012]. （原始内容存档于November 3, 2012）. ^ Global PC Shipments Exceed Forecast with Mild Improvement in Consumer Demand, While Apple Moves to #5 Spot, According to IDC. www.idc.com. （原始内容存档于October 11, 2014）. ^ Elmer-DeWitt, Philip. Don't mistake Apple's market share for its installed base. CNN. January 10, 2014 [January 30, 2014]. （原始内容存档于January 30, 2014）. ^ Number of Android applications. AppBrain. February 9, 2017 [March 12, 2017]. （原始内容存档于February 10, 2017）. ^ Android Dashboard - Platform Versions. [2018-08-04]. ^ 427.0 427.1 谷歌甲骨文大战Java： 开源软件争议“合理使用”_新浪财经_新浪网.